Impulse Control: As humans, we often put off a long-term advantage for a short-term, smaller (or less strategic) advantage. In short, it’s short-term thinking. We might choose to eat dessert (immediate pleasure) over eating something healthier (the health effects are not always apparent instantly, and the consequences are can be far off in the future). In large part, our success depends on how much we can delay gratification in order to achieve goals that have a longer horizon. Saving money for retirement or a drug addict passing up a fix are just two examples. And as a society, our ability to have a long-term vision may determine whether or not our planet stays a livable place or becomes a polluted wasteland. And for each of us, our ability to delay gratification can have a lot to do with how well we navigate life. And poor diet, smoking, poor exercise habits or drug addiction can kill us. 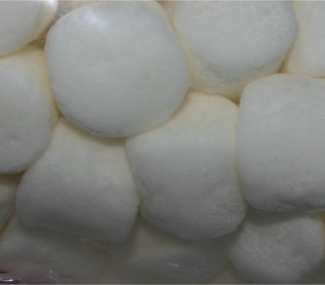 In one famous experiment, 4-year-old children were given either one marshmallow they could have immediately or two marshmallows if they waited for an experimenter to return from an errand (in about 15 minutes). Years later, the study showed major differences between the two groups: the children who waited were more positive, self-motivating, and were able to navigate difficulties better. That could mean better relationships, finances and health. The kids who didn’t wait for the 2nd marshmallow scored an average of 210 points less on SAT tests. That’s right — lack of impulse control can even result in poor study habits. Each of us probably have areas where we do great with delayed gratification and others where we don’t. What’s the diffierence and how do we deal with problem areas? We can change our frame of reference to help us delay gratification when we need to. Little kids tend to focus on only the immediate benefits of something. They think about eating the marshmallow and how good it would taste. They don’t think about being overweight when they’re 50, due to their marshmallow habit. They also don’t think about being healthy and energetic at 50. In other words, their frame of reference is the immediate future and only considers benefits. Psychopaths (the ones that get caught, anyway), have an interesting trait. They tend to not connect emotionally with the potential consequences of their actions. In other words, they may be smart enough to think about what might happen if they get caught cheating in some way, but there’s little negative feeling associated with getting caught. They just lie, cheat, steal, kill or whatever their particular brand of evil entails. What that means to us is, connecting with the emotional pain of a negative consequence might be an important component of motivation. But how do we do that? It’s a good idea to include both the positive future brought about by impulse control and the negative consequences of giving in. And it’s good to do that in different ways. Future pacing (or the “as-if” frame) is a fancy-pants way of saying “Go to the future and imagine it.” And future pacing can help us with both positive and negative consequences. If you’re considering that marshmallow and your goal is to eat healthily, go into the future 15 years and imagine you’ve continued eating marshmallows every time you felt the urge. Connect to it emotionally. How does it look, feel, sound? Now, imagine you’ve been making healthy choices every time you’ve been presented with temptation. After 15 years, how does that look, feel and sound? Connect to that emotionally too! It’s smart to consider how association and dissociation affect future pacing. Association is simply thinking about something as if it’s happening to you. It’s first-person perspective. Dissociation means you see yourself in the scenario rather than be yourself in the scenario. Dissociation, when you’re imagining something, tends to damp down feelings associated with the scenario. My guess is that psychopaths, when they’re considering negative consequences, consider them in a dissociated, emotionless way. Don’t make that mistake. Associate into the negative consequences. But don’t dwell there. For many people, viewing something dissociated increases motivation. Seeing yourself looking healthy and energized may increase your motivation to become that. But it’s a good idea to connect with the positive emotions of actually having it too. Good future pacing involves both first-person and dissociated perspectives. Also, remember you can reward yourself in ways that also get you to your goals. You can do something else you enjoy. After I exercise, I make sure I either get a high-five from my son or mentally give myself one. I also make sure I have an activity I enjoy as a reward. PS: I have a program on how to use Future Pacing. This one set of techniques can help you immeasurably with clients (or yourself). You could build an entire coaching practice around just future pacing. It’s called Practical Guide to the New Behavior Generator and Future Pacing.